Semi-finalists will be notified according to the schedule printed with the competition guidelines. To know the exact day when semi-finalists, finalists and winners will be announced, and for additional information, subscribe to our facebook, twitter or blog pages. We anticipate that all applications received for the 2010 The American Prize Schorr Voice Awards will be processed and email confirmations sent by Wednesday morning this week. As noted on the website, if application fees were paid by credit card, look for a charge from Hat City Music Theater, Inc., administrators of the competition. Thanks to all contestants. 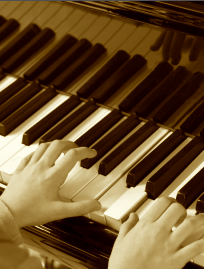 The American Prize is pleased to welcome additional judges in the areas of piano and piano pedagogy to assist in adjudicating upcoming competitions. These additional individuals bring a level of experience and excellence in performance and teaching as varied as we hope the winners of The American Prize will be. The application deadline for The American Prize Schorr Awards in Vocal Performance has passed. In the next few days, all applications received will be processed and confirmation emails sent. Semi-finalists, finalists and winners will be announced according to the schedule published with the competition guidelines. For the latest information and to learn the exact day semi-finalists, finalists and winners will be announced, please subscribe to our facebook page or twitter feed. The next The American Prize Schorr Award competition will be announced on our website after the new year. Thanks to all contestants. With about ten days until the postmark deadline for The American Prize Schorr Memorial Awards in Vocal Performance, we are delighted to announce that applications have already been received from fifteen states, from Rhode Island to Texas and Florida to Wisconsin, with more applications and inquiries arriving every day. It looks to be a very exciting contest. The postmark deadline for applications was extended to November 15, 2010. Complete information on the website www.theamericanprize.org. The application forms may not all indicate the revised application postmark deadline, but be assured all who enter by that time will receive full consideration. "The American Prize is unlike any other competition, a valuable career builder in which all semi-finalists, finalists and winners derive benefit, regardless of who the final winners may be." David Katz, chief judge of the competitions, remarked. "I think the competition has attracted so much interest, even in its first year, because it is the only contest that is judged solely through recorded performances, which practically every musician has access to already. There are no age limits (which can be so arbitrary) and no additional expenses for travel to some far-flung audition site, or for an accompanist when you get there. "And because The American Prize provides written professional adjudication to all finalists, cash awards to winners, and regional, national and international visibility from semi-finalists on up, it may prove to be especially appealing." A list of judges for the competition, including Jay White, eight-year veteran of the Grammy Award-winning solo vocal ensemble, CHANTICLEER, is listed below, in an earlier posting. Dr. Carroll J. Lehman, Director of Choral/Vocal Activities at Keene State College, Keene, New Hampshire, has joined the choral/vocal judging panel for The American Prize. Welcome. The postmark deadline for The American Prize Schorr Memorial Awards in Vocal Performance is now Monday, November 15, 2010. The American Prize—Friedrich and Virginia Schorr Memorial Award in Vocal Performance is a unique competition—a valuable career builder in which all semi-finalists, finalists and winners derive benefit, regardless of who the final winners may be. The competition is judged solely through recorded performances. There is no live competition. There are no age limits. Semi-finalists, finalists and winners of The American Prize receive recognition and reward as a result of their selection. We announce semi-finalists, finalists and winners to the national media, and also directly to the contacts you provide—like local newspapers or radio stations, schools, teachers, conductors or managers, and publish the names on our blog; all semi-finalists, finalists and winners receive personalized certificates. Finalists also receive unbiased written evaluations of their performances, authored by noted professionals in the field, evaluations applicants may then utilize in any way that may be valuable to them. Winners receive certificates, evaluations and cash prizes and are profiled on our website with bios and photos, along with links to their winning performances uploaded to our You Tube channel. Cash prizes range from $100—$500. Although the benefits of participating in The American Prize Schorr Awards are more than financial, the size of the cash awards in each division (opera/operetta or art song) is based on the categories in each particular competition (gifted high school, community, pre-professional, professional), and on the number of applicants, but in no case is the prize less than $100. Applicants submit DVD, CD or VHS video recordings of their performances in either the Opera/Operetta or Art Song divisions, and select the category that best describes them—whether a professional, pre-professional, community or gifted high school vocalist. The Art Song and Opera/Operetta categories are judged separately: if you plan to apply for both, please be sure we receive all the required materials as if you were applying to two separate competitions. Applications must be postmarked by the extended deadline date of November 15, 2010. No materials will be returned. Complete rules, requirements for the recordings, plus application forms, fee and prize information may be found on our website: www.theamericanprize.org. The most up-to-date information about deadlines, judges and more may be found here on our blog: www.theamericanprize.blogspot.com. The American Prize competitions are open to U.S. citizens living here or abroad, or to non-citizens currently living, working or studying in the U.S.A. The American Prize follows strict timelines for the announcement of semi-finalists, finalists and winners. Please see the website. There are no refunds unless a competition is canceled, in which case application fees will be returned. The decisions of the judges are final. You need not prepare a special tape for The American Prize. Previous recordings, either made in front of an audience or in a studio session, are acceptable, provided they include the minimum requirements for the competition as stated in the rules. For any questions the website or blog do not seem to address, please email David Katz, chief judge, at theamericanprz@aol.com or theamericanprize@gmail.com. Founded in 2009, The American Prize, a series of national, nonprofit competitions in the performing arts unique in scope and structure, was first awarded this past spring to orchestras, choruses and conductors nationwide. Profiles of past winners may be found on the website. More than $2000 in cash prizes were awarded. The American Prize is administered by Hat City Music Theater, Inc., a non-profit 501(c)3 performing arts organization based in Danbury, Connecticut. The American Prize is honored to welcome countertenor Jay White, the Grammy Award-winning eight year veteran of the acclaimed solo vocal ensemble, CHANTICLEER, to our vocal judging panel. Mr. White is currently Assistant Professor of Voice at DePauw University in Greencastle, Indiana. Photos and bios of Mr. White and all our new judges will be added to the website shortly. Additional new judges in vocal music, vocal pedagogy, and choral music can be found below. The American Prize in Vocal Performance—Friedrich and Virginia Schorr Awards is a competition unique in scope and structure, an inexpensive and valuable career builder in which all semi-finalists, finalists and winners derive benefit, regardless of who the final winners may be. The postmark deadline for applications is October 26, 2010. The American Prize in Vocal Performance—Friedrich and Virginia Schorr Memorial Award, honors the memory of the greatest Wagnerian baritone of his age, Friedrich Schorr, who commanded the operatic stage between the world wars, and his wife, Virginia Schorr, who taught studio voice at the Manhattan School of Music and the Hartt School of Music for nearly fifty years. Among their many notable students were Cornell MacNeil, Ezio Flagello and Arthur Thompson. The Award recognizes and rewards the best performances by classically trained vocalists in America in 2010, based on applications submitted in two divisions—art song and opera/operetta. There are no age limits. Finalists receive the same benefits, and also get written, unbiased evaluations of their performances, authored by noted professionals in the field, evaluations applicants can then utilize in any way that may be valuable to them. Winners additionally receive cash awards of between $100—$500, are profiled on our website, with bios, photos and weblinks, and on YouTube, where excerpts of winning performances are uploaded. Although the benefits of participating in The American Prize Schorr Awards are more than financial, the size of the cash awards in each division (opera/operetta or art song) is based on the categories in each particular competition (gifted high school, community, pre-professional, professional), and on the number of applicants, but in no case is the prize less than $100. The decisions of the judges are final. Eligibility is open to all U.S. citizens, whether living here or abroad, and to non-citizens working, living or studying in the U.S. at the current time. The art song and the opera competitions are judged separately. The application fee is $35 per competition, so a vocalist skilled enough to wish to enter both the opera and art song competitions should send two copies of each recording for each competition, two copes of each application form and both fees. All applications will be acknowledged by email. The American Prize follows a strict timeline for the announcement of semi-finalists, finalists and winners. The American Prize is administered by Hat City Music Theater, Inc., a non-profit 501(c)3 performing arts organization based in Danbury, Connecticut. The American Prize was founded in 2009 and awarded its first prizes, which included more than $2000 in cash awards to orchestras, choruses and conductors, in spring 2010. The American Prize is pleased to welcome additional judges in the areas of voice and vocal pedagogy, opera, and choral conducting to assist in adjudicating upcoming competitions. These individuals, whose combined expertise includes studio teaching, high school, college and university instruction, artist management, as well as professional performance, hail from the West Coast, New England, the Midwest and South, bringing a level of experience as varied as we hope the winners of The American Prize will be. Dr. Jay White, Grammy Award-winning eight year veteran of the acclaimed solo vocal ensemble, CHANTICLEER, Assistant Professor of Voice at DePauw University in Greencastle, Indiana. Cash prizes, professional adjudication and regional, national and international recognition will be awarded to the first winners of The American Prize in Piano Performance, a series of new, non-profit performing arts competitions now accepting applications in the form of recorded performances. Founded in 2009, The American Prize grew from the belief that a great deal of excellent music being made in this country goes unrecognized and unheralded, not only in our major cities, but all across the country: in schools and churches, in colleges and universities, and by community and professional musicians. With the performing arts in America now virtually ignored by the national news media, The American Prize seeks to fill the gap that leaves many excellent artists and ensembles struggling for visibility and viability. The American Prize will recognize and reward the best America produces, without bias against small city versus large, or unknown artist versus well-known. The American Prize was first awarded this past spring, when choruses, orchestras and conductors nationwide were singled out for their excellence. A complete list of winners may be found on the competition website. Additional competitions in vocal performance, opera and musical theater production, band/wind ensemble performance and composition are also scheduled. Please see the website. David Katz is the chief judge of The American Prize. 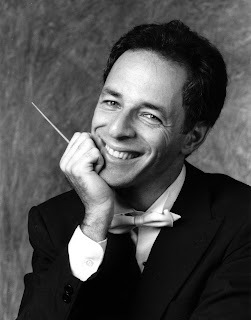 Professional conductor, award-winning composer, playwright, actor and arts advocate, Katz was the founder and for twelve years chief judge of the Friedrich Schorr Memorial Performance Prize in Voice international competition and has adjudicated for the Music Educators National Conference, the American Choral Directors Association and the Michigan School Band and Orchestra Association, among many others. Joining Katz in selecting winners of The American Prize is a panel of judges as varied in background and experience and as geographically diverse as Katz hopes the winners of The American Prize in Piano Performance to be. Made up of distinguished musicians representing a dozen states from every region of the country, the group includes individuals associated with professional, university, community and secondary school music-making, including distinguished performers and tenured professors. Application fees for The American Prize are $35 for individuals, far less than the costs associated with traveling to adjudicated music festivals. Financial awards range from $100 to $500 or more, depending on the category and the number of applicants. In addition to cash prizes and commentary from judges, winners will be profiled on The American Prize website, with video and audio links to winning performances. Cash prizes, professional adjudication and regional, national and international recognition will be awarded to the first winners of The American Prize FRIEDRICH & VIRGINIA SCHORR MEMORIAL AWARD in Vocal Performance, a series of new, non-profit performing arts competitions now accepting applications in the form of recorded performances. 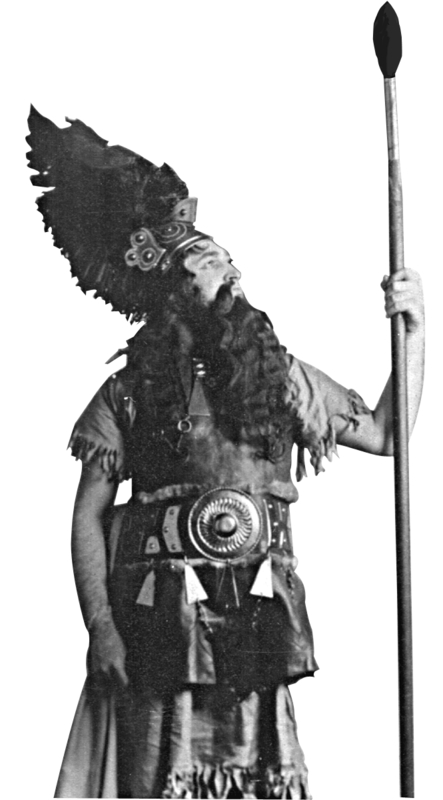 The Schorr Award honors the memory Friedrich Schorr, the greatest Wagnerian baritone of his age, who sang at the Metropolitan Opera for nineteen seasons, and his wife, Virginia Schorr, who taught studio voice at the Hartt and Manhattan Schools of Music for nearly fifty years. David Katz is the chief judge of The American Prize. Professional conductor, award-winning composer, playwright, actor and arts advocate, Katz was the founder and for twelve years chief judge of the Friedrich Schorr Memorial Performance Prize in Voice international competition. Katz studied with Virginia Schorr at the Hartt School and gained her permission to name the original competition in her husband’s honor. “With the renewal of the Schorr competition under the banner of The American Prize, we are again able to honor of the legacy of two important musicians from the past while encouraging vocal excellence among those currently studying and performing,” Katz said. Joining Katz in selecting winners of The American Prize is a panel of judges as varied in background and experience and as geographically diverse as Katz hopes the winners of The American Prize Schorr Memorial Awards to be. Made up of distinguished musicians representing a dozen states from every region of the country, the group includes individuals associated with professional, university, community and secondary school music-making, including distinguished performers and tenured professors. VOCALIST! - International mailing list and free resource for singers and singing teachers. Thanks to the many who responded to the call to round out the roster of judges for upcoming competitions. Contestants will benefit from your wisdom and expertise. New judges will be announced on the website shortly. The American Prize seeks additional qualified judges to complete our roster for upcoming competitions including the Friedrich and Virginia Schorr Memorial Award in vocal performance (separate categories for art song and opera), competitions in piano performance (both solo and concerto), opera, musical theater production and band/wind ensemble. Full information on our website, www.theamericanprize.org. Look for “Call for Judges” on the home page. There is a modest honorarium. We hope to make final decisions within the next two weeks. The competitions of The American Prize are open to all U.S. citizens, whether living in this country or abroad, and to others currently living, working and/or studying in the United States of America, its protectorates and territories. Please do contact us with any questions about the prize. LANCASTER FESTIVAL makes the most of its AMERICAN PRIZE win. Lancaster, Ohio's Lancaster Festival Orchestra and music director Gary Sheldon are making the most of recent wins in The American Prize Orchestral Performance and Conducting categories. "We are delighted to see the Lancaster Festival make the most of their The American Prize win," said Katz. 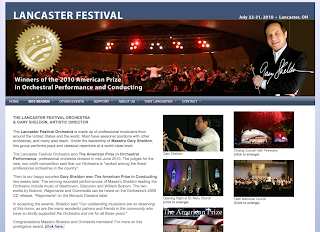 "We of course contact media on behalf of winners, post to our website, weblog and new YouTube channels, but when an ensemble such as the Lancaster Festival also trumpets their achievement to the media, to their subscribers and patrons, it makes winning The American Prize all the more valuable. 1. 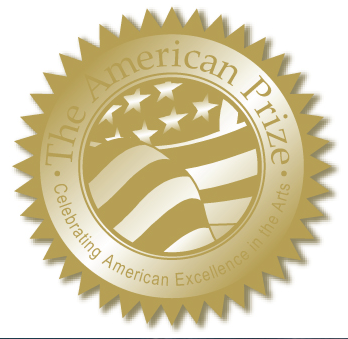 Use The American Prize logo and official seal (sent recently by email) in your online and printed materials, including brochures, programs, posters and newsletters. 2. Be sure all the media in your area are aware of your success. Don't forget to highlight your win on facebook pages, websites and blogs. Feel free to link your site to the announcement of your prize here on this blog. 2. Consider purchasing exclusive The American Prize gifts for your members, to auction, or to sell at your performances. (An order form is available on our website). One ensemble bought tee-shirts for its entire membership, another, music totes for the office staff, a third purchased a baton to present to their music director. Individuals can of course purchase items for themselves as well. Remember that proceeds from the sale of all The American Prize merchandise directly supports the non-profit competitions. 4. Send us news of your success. We will soon publish a list of links to websites, newstories and blogs that feature winners, runners-up and finalists for The American Prize. 1. WINNERS: Certificates, evaluations and cash prizes have been prepared for winners of The American Prize Spring 2010 competitions, to be mailed this week. Certificates and evaluations will follow shortly to runners-up and finalists, then semifinalists and others. The WINNERS page of the website is in preparation. Until it is uploaded, the complete list of winners of our spring 2010 competitions, including photos and bios, is available on this blog. 3. JUDGES: We welcome resumes from potential judges for all upcoming competitions. Please see the CALL FOR JUDGES link at the bottom of the home page of the website. The American Prize celebrates the winners of its spring 2010 competitions. For photos and bios of all prizewinners, please see their separate blog entries, below (published earlier). Christine Noel, director, Harrisville, R.I.
Congratulations again to all winners, runners-up and citation recipients. With the designation of Maestro Yu's award, the announcement of prizes, runners-up and special citations for the spring 2010 competitions of The American Prize is now complete. Conductors and ensembles will not be further ranked beyond the current designations as winners, finalists, semi-finalists, and citation (honorable mention) recipients, or in the case of certain ensemble competitions, runners-up. The complete list of winners is available on this blog and will soon be featured on our website: www.theamericanprize.org. Cash awards, certificates and evaluations will be sent in the coming weeks, in this order: winners, then runners-up, citation recipients, finalists, semi-finalists and others. Please be patient, as each packet is prepared with care. 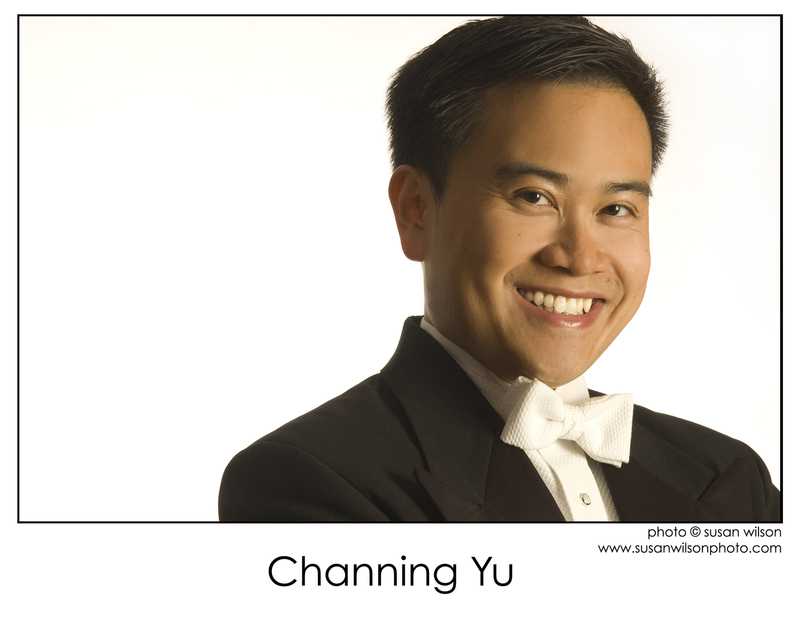 Maestro Channing Yu, of Cambridge, MA, has won The American Prize in Conducting in the community orchestra division. Congratulations. Photo of Maestro Yu by Rick Peckham. SEVEN CONDUCTORS receive EXCELLENCE in MUSIC EDUCATION Citations; YOUNG CONDUCTOR Citation is announced. Excellence in music education is not confined to the classroom or to the applied music studio. Conductors, whether leading school ensembles, community or professional organizations, have a major role in education, not only of the performers they lead with such diligence, but also of audiences of all ages, of boards, donors, media, parents, and the community at large. Everyone who comes in contact with an ensemble and its musical leadership benefits from the teaching and learning the conductor directs. As we witness more school music programs in peril, as the study of (and the knowledge of) music becomes more of an afterthought, the conductor assumes a greater role than ever before in bringing the value of this great art to the attention of American society. In addition, Nadezhda Potemkina is the recipient of a special Young Conductor citation from The American Prize. She is currently pursuring a doctoral degree in orchestral conducting at the University of Memphis. 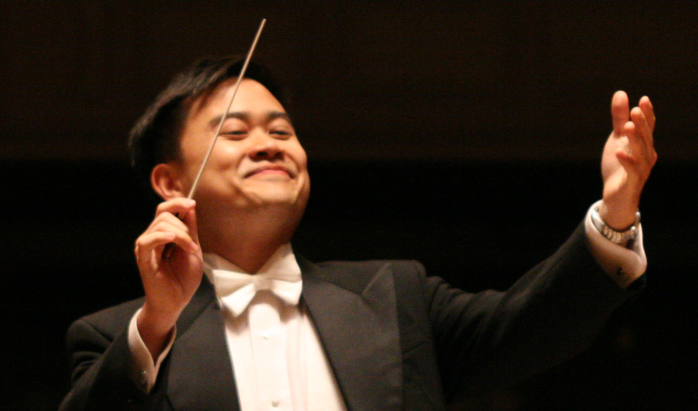 The American Prize is pleased to announce that Tong Chen has won a special Career Incentive award in Conducting. The judges commented about Maestro Chen's performance "the conductor showed an extraordinary command of the orchestra which followed superbly." Tong Chen, a native of Shanghai, China, has worked as an assistant conductor at the Shanghai Opera House since 2004 and is now working as the assistant and fellowship conductor under the tutelage of Gustav Meier and Markand Thakar at The Peabody Institute. Ms. Chen has been an assistant conductor at the Central City Opera House, has worked at the Carbillo Festival with Marin Alsop and was a conducting fellow at the American Academy of Conducting at the Aspen Institute. The American Prize will today announce a series of "Excellence in Music Education" citations to conductors who displayed special skills in this area based on submitted applications. Following the announcement of citations and winners, we will begin the process of sending prizes, certificates and evaluations. More on this procedure shortly. If you have any questions about these or future The American Prize competitions, or wish to be considered as a judge, please email us at theamericanprize@gmail.com or theamericanprz@aol.com. Many thanks. Maestro Eric Nelson, of Atlanta, GA, has won The American Prize in Conducting in the community chorus division, one several conducting award-winners to be announced this week by The American Prize. Congratulations. Eric Nelson: B.M.-Houghton College, M.M.-Westminster Choir College, D.M.-Indiana University. Currently Director of Graduate and Choral Studies at Emory University, Minister of Music at Second Ponce de Leon Baptist Church and Artistic Director of Atlanta Sacred Chorale. Recent past-president of Georgia ACDA and recipient of Emory’s Crystal Apple Award for Teaching Excellence. 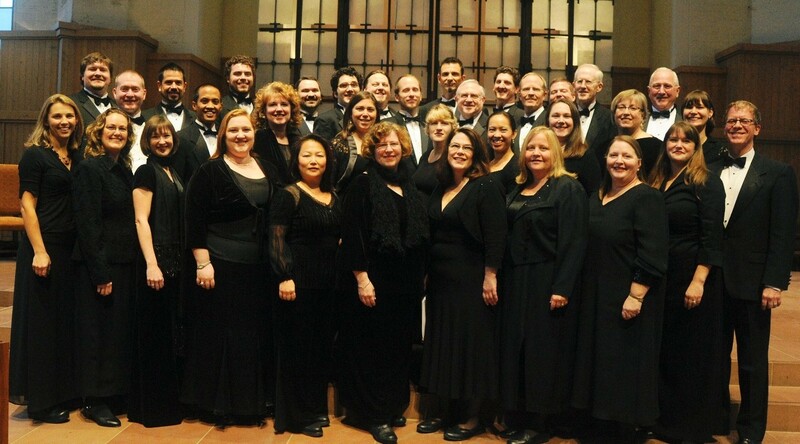 Emory’s Concert Choir and Atlanta Sacred Chorale have both performed at recent ACDA conventions. Memberships include ACDA, GMEA, AGO, and Chorus America. Maestro Gary Sheldon, of Lancaster, OH, has won The American Prize in Conducting in the professional orchestra division, one several conducting award-winners to be announced this week by The American Prize. Congratulations. Gary Sheldon conducts the Lancaster Festival Orchestra which he founded in 1988. He is also principal conductor at the Festival at Sandpoint and he was recently appointed principal conductor of the Miami City Ballet. 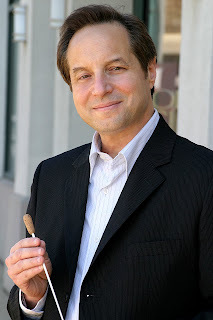 He is former music director of the Marin Symphony where he established the orchestra’s first educational concerts, symphony chorus, composers competition and annual composers symposium. He is a native of Bay Shore, New York and a graduate of the Juilliard School. Maestro Ricardo Averbach, of Oxford, OH, has won The American Prize in Conducting in the college/university orchestra division, one several conducting award-winners to be announced this week by The American Prize. Congratulations. Ricardo Averbach, DMA is Director of Orchestral Studies at Miami University and President of the College Orchestra Directors Association, Northeast Division. Previously he was Music Director of the Echternach Festival Orchestra in Luxembourg, the University of Pennsylvania Symphony Orchestra and Wind Ensemble and the São Paulo Municipal Symphony Orchestra in Brazil. His discography includes several world premiere recordings, which have already sold more than half a million copies around the globe. Additional conducting awards will be announced shortly. 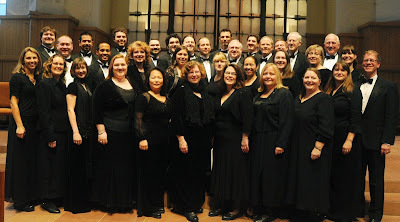 The American Prize is pleased to announce that the WASHINGTON & JEFFERSON COLLEGE CAMERATA SINGERS, of Washington, PA, Susan Medley, conductor, is the 2010 winner of The American Prize in Choral Performance (college/university division.) Congratulations. The Re-Choired Element Chamber Choir of Albany, OR, placed second. The NW Oklahoma University Chorale, of Alva, OK placed third. The American Prize judging panel commented on selections by the Washington & Jefferson College Camerata Singers: "choir has a lovely sound...excellent sense of shaping and phrase in this performance." 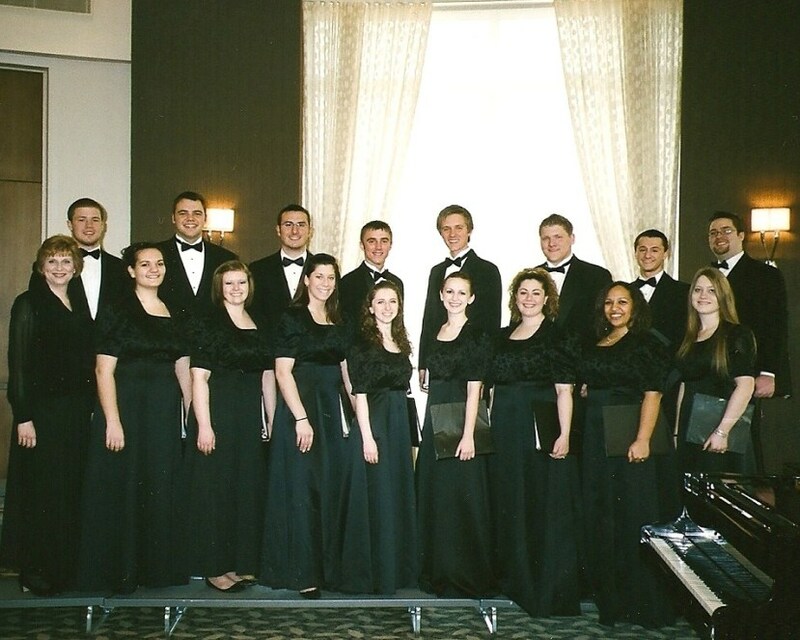 The Washington & Jefferson College Camerata Singers is the premiere vocal ensemble at W&J. The group is comprised of sixteen singers who, in the liberal arts tradition, represent a wide range of majors including biochemistry, psychology, biology, chemistry, economics, English, German, music, and theater. 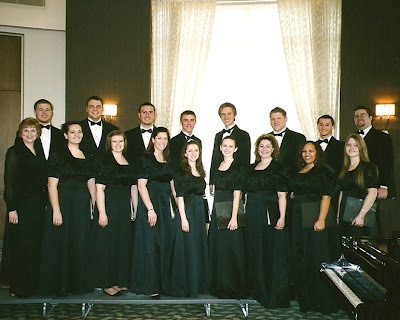 The Camerata Singers have appeared at the state conference of the Pennsylvania Music Education Association, the MENC Eastern Division Conference, and as featured performers at Carnegie Hall's Weill Recital Hall. Congratulations to the Washington & Jefferson College Camerata Singers, the Re-Choired Element Chamber Choir and the NW Oklahoma University Chorale for their outstanding achievement, ranked among the finest college/university choirs in the country. Finally! COMMUNITY CHORUS and COLLEGE/UNIVERSITY CHORUS winners to be announced tomorrow. Finally! Winners and runners-up of The American Prize in Choral Performance—Community Chorus division and College/University division will be posted to our blog by noon Saturday. Congratulations to all winners, runners-up, finalists and semi-finalists. 1. We still await acceptances from the titular winners of The American Prize in Choral Performance (community chorus division) and The American Prize in Choral Performance (college/university division.) We will redouble our effort to make contact with these organizations today, the last two ensemble prizes outstanding, so winners and runners-up can be announced. 2. Conducting winners have been chosen and will be announced shortly. 3. We are in the midst of a major overhaul of our website (www.theamericanprize.org), adding new contests, revising returning contests, and creating our Winners pages. We will let you know when the update is completed. 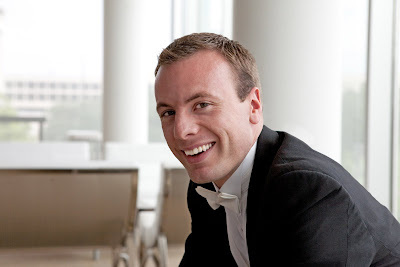 The American Prize is pleased to announce that the TEXAS CHAMBER GROUP ORCHESTRA, of Austin, TX, Wesley Schulz, conductor, is the 2010 winner of The American Prize in Orchestral Performance (college/university orchestra division.) Congratulations. The Oxford Chamber Orchestra of Oxford, OH, placed second. 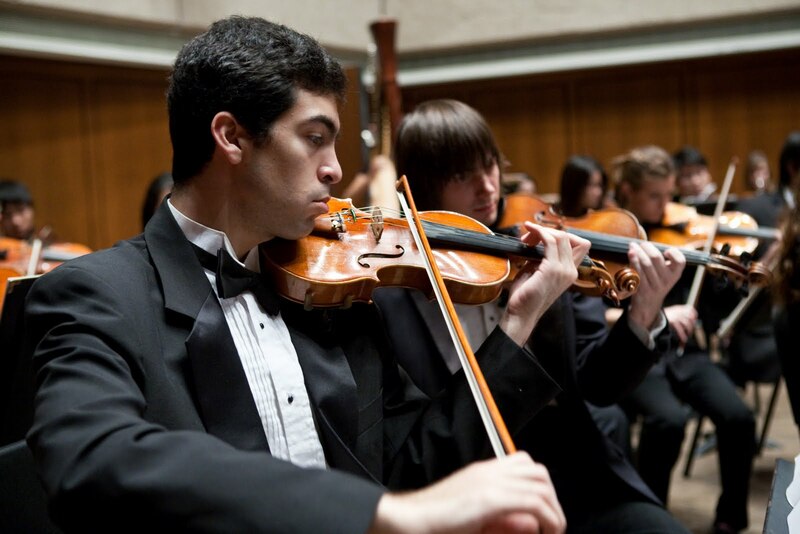 The Cornell Symphony Orchestra of Ithaca, NY, placed third. Other finalists are not ranked in order, but will receive official certificates and adjudicated comments. In making their decision, the judging panel praised the TEXAS CHAMBER GROUP ORCHESTRA for a performance of Rite of Spring "excellent...astonishingly good...extremely impressive in almost every detail." The Texas Chamber Group was founded in 2007 by conductor Wesley Schulz for the purpose of giving chamber sized orchestral concerts to the community of Austin, Texas. Featuring works from across the orchestral spectrum the ensemble has given successful performances of Mozart’s Symphony No. 41, Milhaud’s Creation of the World, Stravinsky’s Rite of Spring, Torke’s Adjustable Wrench, and Stephen Frost’s Concerto for Bassoon, among others. Cornell Symphony Orchestra for their outstanding achievement, ranked among the finest college/university orchestras in the country. We are awaiting more acceptances and hope to have completed the announcement of The American Prize winning performances in our spring 2010 competitions as soon as possible. Prizes, certificates and written evaluations will follow to contestants in the days ahead. Thank you for a very stimulating and musically rewarding first round of The American Prize. The American Prize is pleased to announce that the HSPVA MADRIGAL SINGERS, of Houston, TX, Rob Seible, conductor, is the 2010 winner of The American Prize in Choral Performance (high school division.) Congratulations. The Traverse City West Senior High School Chorale, of Traverse City, MI, placed second. 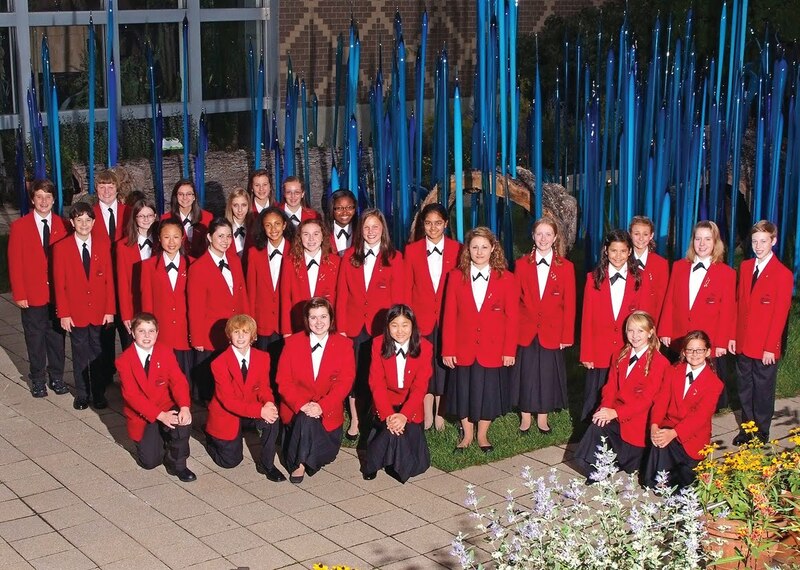 The Burley Middle School Young Women's Chorus of Charlottesville, VA, placed third. The Olympia High School Chorale of Stanford, IL, placed fourth. Among the Madrigal Singers' outstanding qualities to receive comment by The American Prize judging panel were "good core of well-trained voices...diction is almost always natural and well-controlled...good listening...attention to details..."
Congratulations to the HSPVA Madrigal Singers, the Traverse City West Senior High School Chorale, the Burley Middle School Young Women's Chorus and the Olympia High School Chorale of Stanford, IL for their outstanding achievement, ranked among the finest high school choirs in the country. The American Prize is pleased to announce that the LANCASTER FESTIVAL ORCHESTRA, of Lancaster, OH, Gary Sheldon, music director, is the 2010 winner of The American Prize in Orchestral Performance (professional orchestra division.) Congratulations. The Annapolis Symphony of Annapolis, MD, placed second. 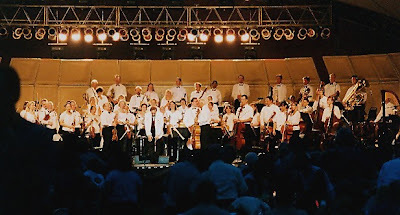 The Western Piedmont Symphony of Hickory, NC, placed third. In making their decision, the judging panel praised the LANCASTER FESTIVAL ORCHESTRA for performances "excellently prepared interpretively and very well executed." Western Piedmont Symphony for their outstanding achievement, ranked among the finest professional orchestras in the country. The American Prize will announce additional winners of its 2010 competitions on Monday. The Professional Orchestra winner and runners-up will be announced here at 10 am. The Youth Choir winner and runners-up will be announced here at 12 noon. Congratulations to all winners and runners up. The American Prize is pleased to announce that the LONGMEADOW HIGH SCHOOL SYMPHONY ORCHESTRA, of Longmeadow, MA, Michael Mucci, conductor, is the 2010 winner of The American Prize in Orchestral Performance (secondary school division.) Congratulations. The Stevenson High School Patriot Orchestra of Lincolnshire, IL, placed second. In making their decision, the judging panel praised the Longmeadow High School Orchestra: "strings play with confidence and beautiful sonority...intonation is extraordinarily good...an exciting, cohesive sound." The Longmeadow High School Symphony Orchestra is comprised of the 55 strings of the String Orchestra and the 44 wind players of the select Wind Ensemble. 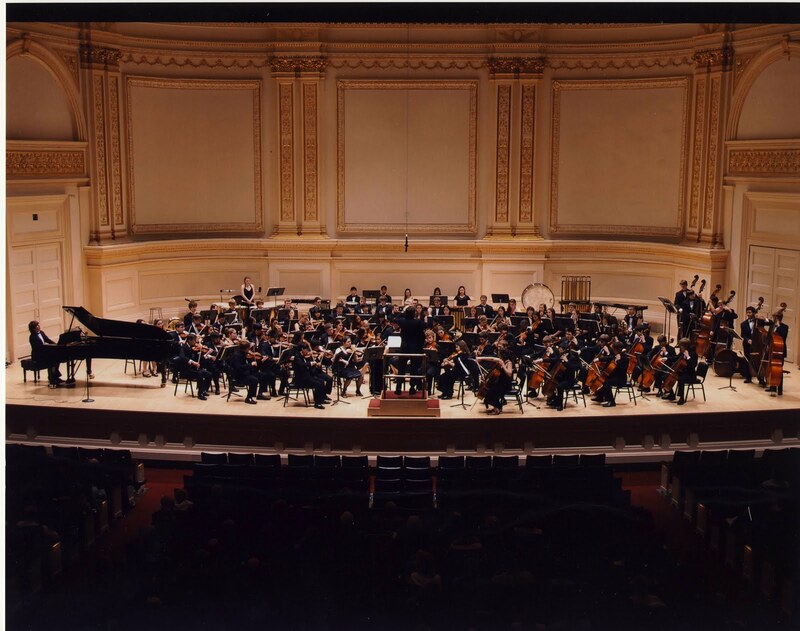 The Symphony Orchestra has been invited to perform, on three occasions, at the National Orchestra Festival, held at Carnegie Hall in New York City. 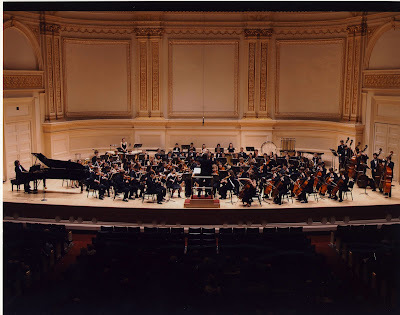 The Symphony Orchestra has also performed at the National Orchestra Gold Festival at Boston Symphony Hall and has appeared numerous times at the Massachusetts Music Educators All State Convention. The Longmeadow High School Music Department has recently received three Grammy Signature Awards from the National Association of Recording Arts and Sciences. Congratulations to the Longmeadow High School Symphony Orchestra and the Stevenson High School Patriot Orchestra for their outstanding achievement, ranked among the finest high school orchestras in the country. The American Prize is pleased to announce that the MERCURY ORCHESTRA, of Cambridge, MA, Channing Yu, music director and conductor, is the 2010 winner of The American Prize in Orchestral Performance (community orchestra division.) Congratulations. The Bravura Philharmonic Orchestra of West Windsor, NJ, placed second. The Auburn University/Community Orchestra of Auburn, AL, placed third. In making their decision, the judging panel praised the Mercury Orchestra for "obviously careful and thoughtful preparation...excellent interpretations." Founded in 2008, the 97-member Mercury Orchestra (Channing Yu, Music Director and Conductor; Justin Albstein, General Manager) has a mission to bring great works of the symphony orchestra repertoire to Cambridge, Massachusetts, in live performances of the highest quality; to bring amateur orchestral musicians together in the Cambridge area to play challenging repertoire; and to educate new audiences about the rich traditions of classical music. Congratulations to the Mercury Orchestra, the Bravura Philharmonic and the Auburn University/Community Orchestra for their outstanding achievement, ranked among the finest community orchestras in the country. More winners will be announced this weekend. 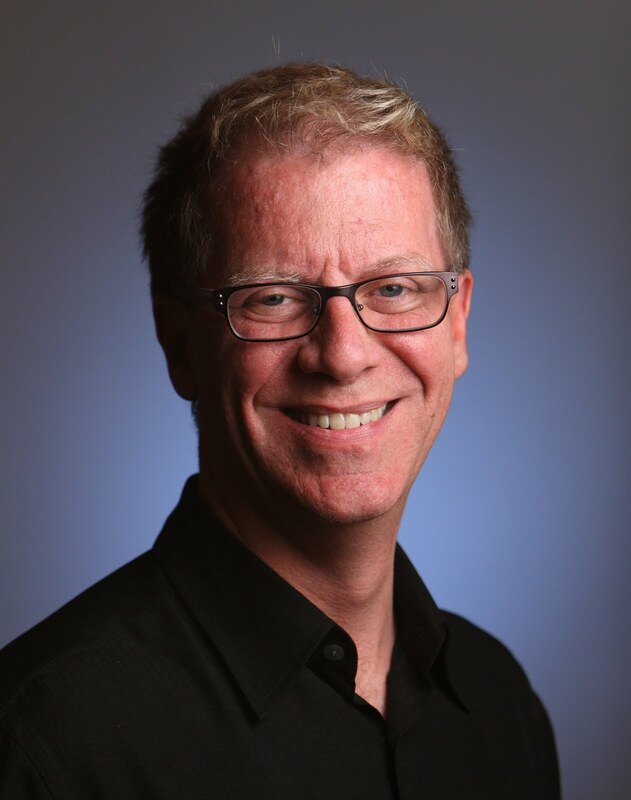 The American Prize is pleased to announce that ROOMFUL OF TEETH, of Williamstown, MA, Brad Wells, founder and director, is the 2010 winner of The American Prize in Choral Performance (professional division). Congratulations. VOX: The Rob Seible Singers, of Houston, Texas, placed second. In making their decision, the judging panel commented that ROOMFUL OF TEETH exhibited "accurate pitch/intonation...with seamless transitions...really unique...stunning." Roomful of Teeth is an eight-voice vocal ensemble that embraces the full spectrum of vocal practices and, through an on-going commissioning project, develops new compositions using the fullest possible range of vocal techniques. 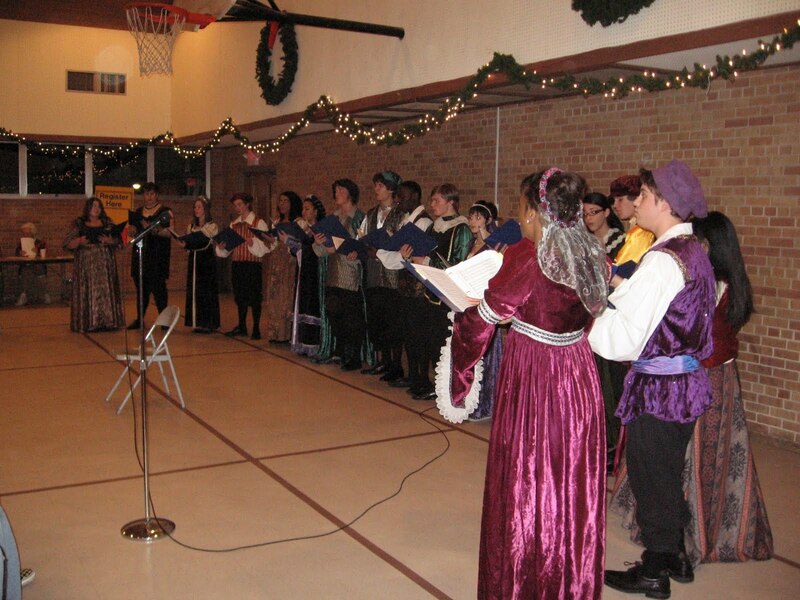 Launched in 2009, the ensemble of young, classically-trained singers studies with international experts in vocal techniques ranging from Tuvan throat singing to yodeling. The ensemble commissions composers to write music utilizing their ever-expanding palette of vocal colors. Congratulations to both ROOMFUL OF TEETH and the VOX: The Rob Seible Singers, for their outstanding achievement, ranked among the finest professional choruses in the country. The winner of The American Prize in Orchestral Performance (community division) will be announced at 5 pm today.